This is a key example where the CBMW is correct. It may well be that this is the text that matters most to the CBMW. It is 1 Timothy 2:12. The NIV has “assume authority” “have authority” or “exercise authority” in its rendering of this verse. I think the statement’s complaint here is right and fair. There is no alternative in the margin, either. That is yet another unfortunate feature of the rendering. I suspect this rendering bothered the statement writers more than any other in their list. So how to handle it? This is an example where I would continue to appeal for a revision on the principle that any translation has places where one can improve it. Of all the examples I will treat, this is the one that merits more reconsideration by the NIV committee than any other text. Denny Burk is to be commended for his courageous work on this text, and his discussion of the changes from NIV 1984 through the TNIV to the NIV 2011 is especially worthy of attention. See his post, “The NIV on 1 Timothy 2:12,” for a nice chart tracking the progressive translation of the verse in the NIV. I mentioned in an earlier post that in his book, Man and Woman, One in Christ, Philip B. Payne refuses to present the complementarian position in a way that complementarians would represent themselves. This seems to be because Payne has so thoroughly rejected the complementarian position that he feels no need to argue against it as a complementarian would articulate it. Rather, he skips straight to judging complementarians by the standards of his own assumed conclusions. Blomberg notes, “Like Rebecca Groothuis, Payne finds the concept of functional subordination within ontological equality virtually non-sensical, so he doesn’t really consider it as an intermediate option.” The problem with Payne not considering this option is that it is the position complementarians hold. Failure to deal with it is failure to engage the position as complementarians hold it. The result is that Payne’s arrows miss their targets. Rather than dialoguing with those who disagree with him, Payne diatribes against a straw man of his own making. This can be seen in what appears to be Payne’s response to the complementarian assertion of functional subordination within ontological equality. He writes of Paul, “His praise of women coworkers in the gospel, as in Rom 16:1–16, shows that he was not content with lip service to the ontological equality of men and women while perpetuating social stratification by restricting special privileges to males” (86, italics mine). Payne thus does not grant complementarians the logic of their positions, nor does he describe the position he attacks in a way that a complementarian would. Instead he presents a caricatured straw man that, in his view, uses meaningless words (“lip service”) while perpetuating injustice. Payne’s refusal to consider ontological equality within functional subordination—the idea that equals can and do embrace hierarchical roles—pushes him to a strained interpretation of 1 Corinthians 15:28, “When all things are subjected to him, then the Son himself will also be subjected to him who put all things in subjection under him, that God may be all in all” (ESV). Payne asserts, “Subordinationism also conflicts with Christ’s ontological equality with God the Father” (133). He then tries to show that “‘the God’ in 1 Corinthians 15:28 makes best sense as referring to the Godhead and, therefore, does not entail subordinationist Christology” (135). That is, rather than the verse saying that Christ will be subjected to the Father that God might be all in all, Payne wants to render the verse “so that the Godhead may be all in all” (134) to avoid the notion that the Father is in view. Earlier in the verse, however, Paul referred to “the Son himself” being “subjected to the one who subjected all things to him,” and this is following verse 24’s reference to the end, “when [Christ] delivers the kingdom to God the Father . . .” (1 Cor 15:24). Thus, not only does Payne’s refusal to consider ontological equality with functional subordination cause him to treat complementarians unfairly, it forces him into yogic postures as he tries to deal with 1 Corinthians 15:28. Payne comes close to accusing complementarians of heresy. Asserting that complementarians “typically embrace and logically imply subordinationist Christology” (131), he relies on Kevin Giles (133 n. 85) as he contends that “subordinationist Christology has been regarded as heresy since the early creeds” (133). Rather than refer to complementarian interpretations as complementarian, Payne refers to them as “subordinationist” (e.g., 191, 196). As Craig Blomberg pointed out in his review of Payne, and as Bruce Ware has demonstrated, the way that Giles selectively quotes relevant evidence undermines his conclusions. Ware in particular has demonstrated that while the early church did reject subordinationism, significant early figures affirmed what complementarians now refer to as ontological equality with functional subordination. The historical reality is nuanced, as is a correct understanding of the Bible. (See this page for many interactions with Giles). Payne not only suggests that complementarians have embraced a heretical Christology, he almost indicates that one must be egalitarian in order to be Christian: “The nature of the gospel is incompatible with assigning privileges and special treatment only to members of particular groups, whether ethnic, economic, or by gender” (102). Again, “The eschatological new creation in Christ overcomes the barriers that excluded Gentiles, slaves, and women and grants them acceptance and full participation in God’s people” (104). These darts go wide of the mark: complementarians are not rejecting equality; we are trying to obey the Bible, and we are not satisfied with egalitarian attempts to remove role distinctions from the Bible. There is more that could be said, but this post is long enough. Its point is to restate a truism: when we engage in these disputes, we must abide by the golden rule, representing the positions of others the way we want our own positions represented. Payne fails to show this courtesy to complementarians. Working on my review of Payne’s Man and Woman, One in Christ, it became clear that for Payne, and probably for many egalitarians, the issue of women in ministry is a moral issue that is closely linked to civil rights. To be clear, I think the Bible teaches complementary roles for men and women (here are a few earlier posts). Philip Barton Payne refuses to deal with the complementarian position as it is (that’s for another post), and his egalitarianism is necessarily intolerant. First I’ll lay out the intolerance of Payne’s egalitarianism, then I’ll suggest what this means for complementarians. Payne denounces the injustice of the complementarian straw man he has created: “Such exclusion is discrimination and is a denial of equality in Christ” (Man and Woman, 97, italics mine). Payne thinks that complementarians discriminate against women (79, 85, 86, etc. ), evade the meaning of Galatians 3:28 (79), and exclude women while giving special privileges to men (83, 93, etc.). He asks, “Dare we exclude women from offices of leadership and teaching to which God has gifted them and called them?” (104). Here we have some of the logical fallacies I mentioned in my review. All this begs the question of whether God has indeed called women to these offices, assumes the conclusion that Payne takes on the issue, and caricatures complementarians as wanting to exclude women, which partakes of an ad hominem argument as it maligns the motives and character of complementarian interpreters. These terms (“discrimination,” “exclusion,” “special privilege”) are emotionally charged, and they slant the discussion in a “civil rights” direction. Choosing to employ this language subtly implies that complementarians are gender-bigots. Payne never calls complementarians bigots, but he implies a moral equivalency between racial discrimination in the United States and what he apparently considers gender discrimination in the church. 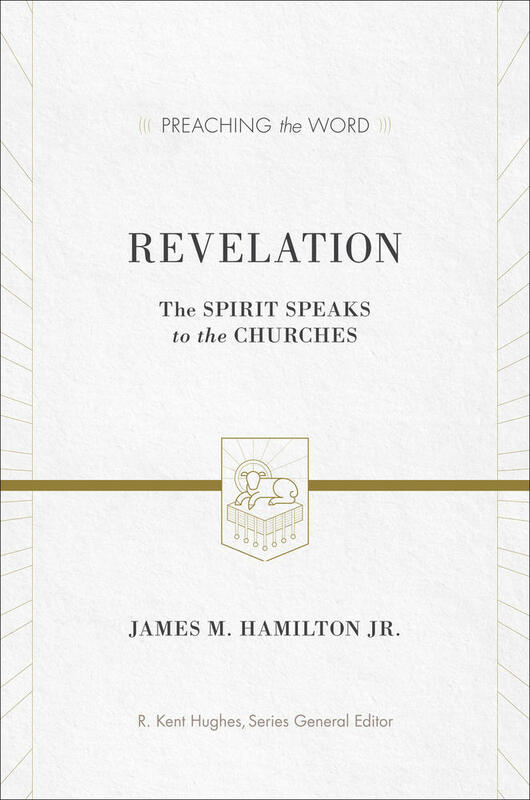 On the book’s final page, Payne writes, “Just as the church has come to unanimity in rejecting ‘separate but equal’ rights for whites and blacks, I trust that this book will help bring a truly biblical unanimity to the church in rejecting the view that God established ‘separate but equal’ leadership roles for men and women in the church” (463). Payne clearly regards the “right” that gifted and qualified females have to teach and lead men as pastors to be a moral issue. If this is a moral issue for egalitarians, can they tolerate complementarians? It would appear that if an egalitarian agrees with Payne (that complementarian interpretations result in “discrimination” against women and the “exclusion” of women from what is rightfully theirs while granting “special privileges” to males), tolerating complementarians means tolerating those who believe in and would perpetuate unjust and immoral behavior. Complementarians need to recognize that if a person holds egalitarian convictions, the logic of their position entails the conviction that complementarians are immoral, unjust, and not-to-be-tolerated. Granted, not every egalitarian has worked out the logical implications of their views, so there may be egalitarians who are content to tolerate complementarians. But from what Payne says, it seems to me that if complementarians in leadership at churches, schools, or ministries want to remain complementarian, they cannot give leadership to egalitarians because egalitarians cannot tolerate complementarians and will not rest–from their position should not rest–until the injustice and immorality of complementarian practice and belief has been eradicated. Does this mean that complementarians are intolerant? No. Self-preservation is not intolerant. It is not intolerant for the USA to preserve democracy by refusing to make a dictator king. Nor is it intolerant for a church or ministry to preserve biblical gender roles by refusing to acknowledge the unbiblical demands of egalitarians. Here are another couple of paragraphs omitted from my review of Payne’s book. Those who disagree with Payne are accused of censorship, misrepresentation, blatant falsehood, and uncritical thinking: Payne suggests that when Douglas J. Moo, as editor of Trinity Journal, did not publish a particular egalitarian’s submission, Moo practiced “censorship” (120 n. 13, cf. 411 n. 50). Thomas R. Schreiner is said to have “misrepresented the lexical evidence” and is described as “making . . . blatantly false statements” (122). Andreas J. Köstenberger is accused of misrepresenting Payne and keeping one of his papers from being published in JETS (356 n. 47). Blomberg has disputed Payne’s claim (356 n. 48) that he uncritically accepted Köstenberger’s anaylsis. These are all serious charges, but the allegations that Moo practiced censorship and that Köstenberger abused his position as editor of JETS are of particular concern. These are claims that one should not lightly lodge against brothers in Christ. Payne seems to be challenging the character of two editors with strong reputations for fair and careful scholarship. The refusal of a journal to publish an essay does not warrant charges of censorship and abuse of editorial privilege. Disagreeing with someone else’s interpretation does not mean one is asserting blatant falsehood, and the rejection of an argument does not necessarily reflect uncritical thinking. Page numbers in parentheses refer to Payne’s Man and Woman, One in Christ. Man and Woman, One in Christ: An Exegetical and Theological Study of Paul’s Letters. By Philip B. Payne. Grand Rapids: Zondervan, 2009, 511 pp, $29.99 paper. Published in Journal of the Evangelical Theological Society, 54.1 (2011), 177–79. Israel never had female priests. Jesus did not name any females as apostles. Peter instructed wives to submit to their husbands, as did Paul (repeatedly), and Paul expressly forbade women teaching or exercising authority over men. The history of the people of God has largely reflected the Bible’s clear teaching on this point. Male leadership is a given in the OT, and with few exceptions, the Christian church of all denominations has been led by males. Has the church been wrong about this for the whole of its history? Both Israel and the church have failed spectacularly at points—is this one of them? Put simply: no. Male leadership in the home and the church is taught in the Bible. Even a brilliant use of the evidence and an airtight logical argument would fail to stop the rising of the sun, but unfortunately Philip Payne mishandles the evidence and multiplies logical and rhetorical fallacies. Payne begins with chapters on the backgrounds of Paul’s teaching, the women Paul names (begging questions by calling these women “ministry leaders”), and theological axioms Payne takes to imply his definition of equality. Payne then breaks Paul’s statements on women into two parts: “earlier” and “later” letters. Beginning with a chapter on Gal 3:28, Payne follows with a chapter on 1 Cor 7, then eight chapters on 1 Cor 11:2–16, a chapter on 1 Cor 14:34–35, another on Eph 5:21–33 and Col 3:18–19, eight on 1 Tim 2:8–15, another on 1 Tim 3:1–13 and Titus 1:5–9, and then concludes with “Paul Consistently Champions the Equality of Man and Woman in Christ.” Several reviews of this book have already appeared [see Blomberg’s and Schreiner’s]; therefore, because of space limitations, I will focus on Payne’s campaign against 1 Cor 14:34–35. Perhaps this focus will suffice as an example of the type of argumentation found in Payne’s book. Payne makes a desperate attempt to show that 1 Cor 14:34–35 should be relegated to the theological dustbin as a non-canonical interpolation. He claims that “its suppression of a weak social group” counts as “evidence that 14:34–35 is an interpolation” (p. 262), and he explains that “Male chauvinist editorial patterns evident in the Western text demonstrate that these attitudes pervaded the church as well as society in general” (p. 264). Countering these injustices, Payne goes to war to prove that the text deserves no standing in Scripture. He writes, “If 1 Cor 14:34–35 is a non-Pauline interpolation, it does not carry apostolic authority and should not be used as such to restrict the speaking ministries of women, nor should it influence the exegesis of other NT passages” (p. 267). What, however, if it is not a “non-Pauline interpolation” and thus does “carry apostolic authority”? Should Payne continue to regard it as “restrictive”? Is there a way to view 1 Cor 14:34–35 as something other than an expression of male chauvinist suppression of a weak social group? Obviously complementarians are convinced that there is. Payne needs an unassailable case if he is going to evict 1 Cor 14:34–35 from its scriptural stronghold. He needs real evidence and convincing argumentation, and he has neither. We have no manuscript that lacks this passage—not one. Payne so badly needs a text that lacks 1 Cor 14:34­–35 that he invents several and then uses these imaginary witnesses to testify on his behalf. Payne has a long discussion (pp. 232–46) of the “distigmai” in Codex Vaticanus. These distigmai are “two horizontally aligned dots in the margin at mid-character height, by the last line of 1 Cor 14:33” (pp. 232–33). Payne’s view is that “the distigme by the last line of 14:33 is positioned appropriately to mark the absence of verses 34­–35” (p. 233). Payne’s interpretation of this evidence has been analyzed and rejected by both Curt Niccum and Peter Head [see summaries of Head’s work by Tommy Wasserman, Part 1 and Part 2]. I simply observe here that this interpretation of unexplained features of a manuscript is very tenuous evidence, and if it is to help Payne’s case he needs everything to go his way. If the scribe did not put the distigmai there to mark an interpolation, as Payne believes, these distigmai do not support his edifice. What if the scribe put the distigmai there not because the text was lacking from a manuscript in his possession but because he was aware of several variants of the existing text? In addition, if it was not “the original scribe of the Vaticanus NT” who put them there, as Payne holds (p. 245) but someone after ad 1400 who added them, as Niccum and Head think, Payne’s claims collapse. So in order for the distigmai of Vaticanus to support Payne’s view, we must add the hypothesis of the date of the distigmai to the hypothetical reason the scribe put them there, and thus we arrive at the sum total of a hypothetical conclusion that these verses originated as an interpolation. This gives us one manuscript that hypothetically attests to the omission of these verses. Meanwhile, 1 Cor 14:34–­35 remain clearly inked on the leaf of the manuscript in question. The verses are comfortably in the text of Codex Vaticanus, not as a hypothetical explanation of mysterious little dots but as a clearly written, universally attested reality. Undaunted, Payne layers on more theoretical possibilities in his discussion of Codex Fuldensis. This manuscript is a sixth-century copy of the Vulgate that, like every other surviving manuscript, contains the text in question, 1 Cor 14:34–35. In Fuldensis verses 34–35 follow verse 33, neither dislocated nor in the margin but in the body of the actual text. In the lower margin, however, verses 36­–40 have been re-copied. On this basis, Payne posits that “St. Victor, Bishop of Capua, ordered the text of 1 Cor 14:34–40 rewritten and corrected in the bottom margin of Codex Fuldensis with verses 34–35 omitted” (p. 246). Payne’s explanation is possible, but verses 34–35 are still in the body of the text of Codex Fuldensis, and the recopied portion begins with verse 36 and goes through verse 40 rather than beginning with verse 33, skipping to verse 36 and continuing to verse 40. Payne thinks that “the most natural explanation” is that Victor saw “a manuscript that did not contain 14:34–35,” then ordered the scribe to rewrite verses 36–40 in the lower margin. If Victor had checked any other manuscripts, however, the evidence indicates that he might not have concluded that verses 34­–35 are an interpolation, since all the manuscripts in our possession have the verses—as did, evidently, the exemplar from which the body of Fuldensis was copied. Payne nevertheless makes an astonishing claim: “FuldensisVictor mg. thus fulfills the criterion C. K. Barrett posed, ‘If any significant MS omitted the verses altogether it would probably be right to follow [the view that] . . . verses 34f . . . were added later as a marginal note’” (p. 248, bracketed note and ellipses Payne’s). Yet Barrett’s criterion has not been fulfilled: Fuldensis is a sixth-century Latin manuscript that hardly registers as a “significant manuscript,” and in its case verses 34–35 are not “a marginal note” but are in the body of the text. The only manuscript that omits the verses altogether is the one that exists in Payne’s mind, which he thinks Victor saw. Payne also thinks that the twelfth-century manuscript 88 was copied from a text that did not have verses 34–35. The fact that we do not posses that manuscript does not diminish Payne’s confidence in his hypothetical reconstruction (pp. 249–50). In light of the manuscript evidence, Payne’s argument against 1 Cor 14:34–35 fails. It simply will not do to excise evidence that goes against our conclusions. The removal of this passage is not even an acceptable “working hypothesis” for those who would regulate their conduct by Paul’s teaching. Those who desire to understand and embrace everything Paul taught will need to look elsewhere for an explanation of all he wrote. I do not have space to discuss Payne’s interpretations of the other Pauline texts, but in my view they are no more successful than his attempt to show that 1 Cor 14:34–35 is an interpolation. Payne lacks evidence for his conclusions and marshals arguments riddled with fallacies to advance them. 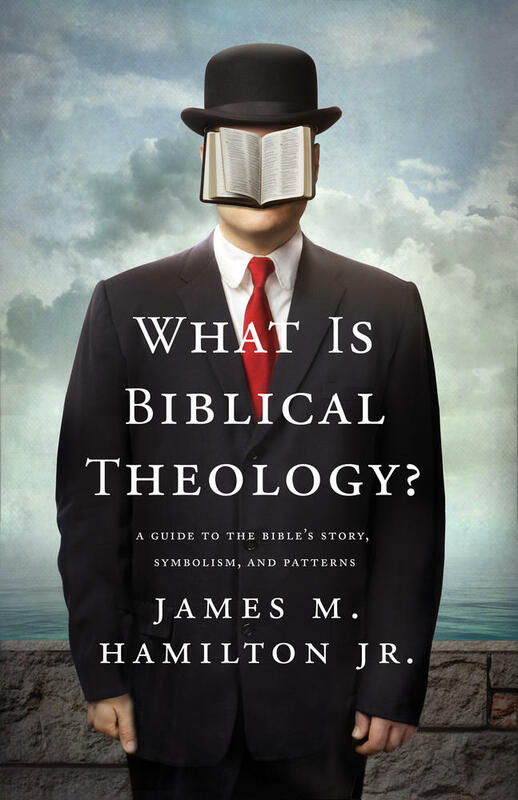 Payne holds that “the biblical evidence” for his position “is as strong as an avalanche” and that “the totality of the avalanche is inescapable” (p. 462). It is fitting that Payne chose the metaphor of an avalanche, which is a destructive disaster. Indeed, the adoption of Payne’s conclusions would cause a moving away from safe paths and solid ground toward calamitous consequences. The English language is blessed to have a variety of good translations of the Bible, and I think it’s good that in these translations we have something of a spectrum that moves from readability on one end to literalness on the other. As I think about it, the most literal translation is still the New American Standard. In former days I would have said that the most readable translation was the NIV, but now I think that the HCSB has every right to supercede the NIV. The HCSB is more current and more literal, while maintaining fluid readability. Do you want a readable translation that you can trust? The HCSB is now the translation for you. 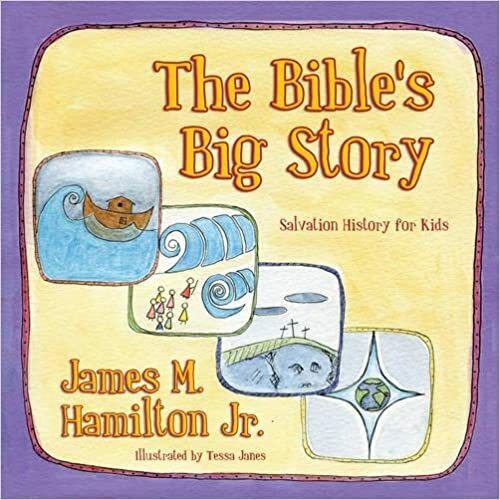 And congratulations to B&H on the release of the HCSB Study Bible. I commend this handsome volume to you. It will help you understand the Bible. They’ve also produced a nice website where you can access the translation and study notes. The translation has established itself in the top tier of English Bible translations, and the translation is now presented with a wealth of useful information in the HCSB Study Bible. I commend the translation to you without reservation, and the Study Bible will be another resource to consult as you study. May the Word of God run in our generation.